On Sunday 16 December, Peter Hutchins lead two bird walks at Fleet Pond Nature Reserve. The morning one (10 am start) was with members of the RSPB and the afternoon one (2 pm start) was with members of Hampshire Ornithological Society (HOS). Newcomers were also very welcome. Viewing northwards from the bay, as above, saw Magpie and Woodpigeon on the wing, Cormorant and Black-headed Gull on the distant islands and trees and the first Teal of the outing added, these however no more than hidden ‘preepings’ behind the willow and Alder carr. A bird that did however show, albeit briefly as it headed out over the reeds and trees, was a Snipe; another “You had to be there!” bird that just hinted at what might just be hidden out of view in the damper inaccessible areas. Another in the same category was a Little Egret that flighted eastwards just minutes later, once again only being seen by the few that had not already headed once more in to the woodland. In total, nearly 50 species were recorded during the walk! The full article can be found (p 31-41) in the newsletter which Peter has kindly allowed us to be made generally available and which can downloaded here: RSPB Newsletter December 2012. The article is a very interesting read, as is the newsletter in it’s own right! Regarding the second walk later in the day, of most note were a showy Water Rail in the north-east corner (two more being heard), the Drake Pochard and several Jays in an all too quickly darkening sky. 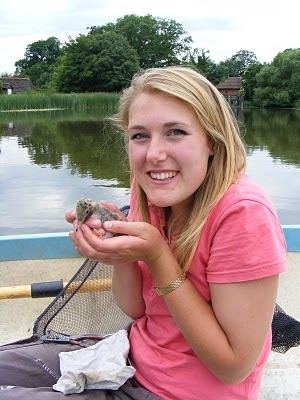 So, all-in-all, a very eventful and rewarding pair of bird walks! Phone: 07895 – 388378 or 01256 – 770831. Many thanks for the interest you’ve shown in Fleet Pond Blog this year. We’ve been fortunate in having had over 89,000 visits since it started in July 2008! We’ve lots of ideas for posts for 2013 that we hope you’ll find interesting, so please stay tuned. Also, if you have any requests for topics, we’d be very happy to hear from you – contact details are here. By the way, if you decide to go for a walk round the pond during the holiday period, why not take your camera with you and, if inspired, enter our photography competition for 2012? Details can be found here and the deadline for entries is 5 January next year. The picture above was the winner from the FPS Photography Competition for 2011. The Common Tern is the beneficiary of recent work carried out on one of the new islands in the middle of Fleet Pond. 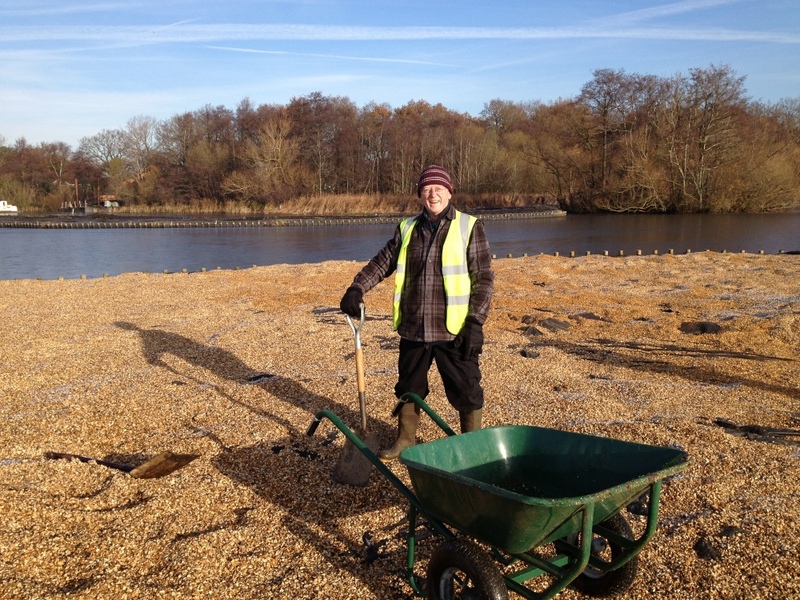 Volunteers from Fleet Pond Society worked together with Hart Countryside Rangers (see above and below) to cover the central island with gravel paid for with funds raised through the Society’s ‘Clearwater Campaign’. Common Terns like to nest in bare scrapes on flat, poorly vegetated islands. 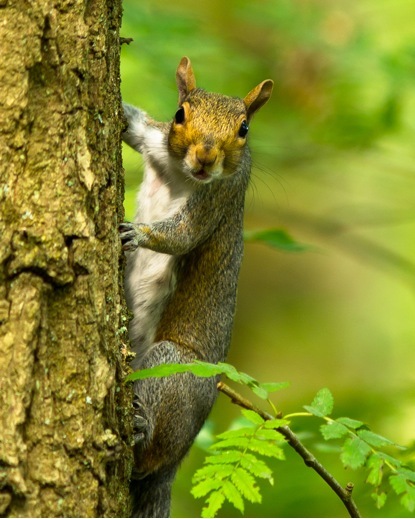 This makes the eggs and young vulnerable to predation by mammals such as rats and mink as well as large birds including gulls, owls and herons. It is hoped that their speckled eggs will be well camouflaged against the gravel, with protection for the chicks provided by the low level roofing tile hideaways. Fencing has been placed round the island to stop mink accessing it. We’ve been extremely fortunate that grants from Natural England and the Environment Agency have made the current phase of dredging work possible. 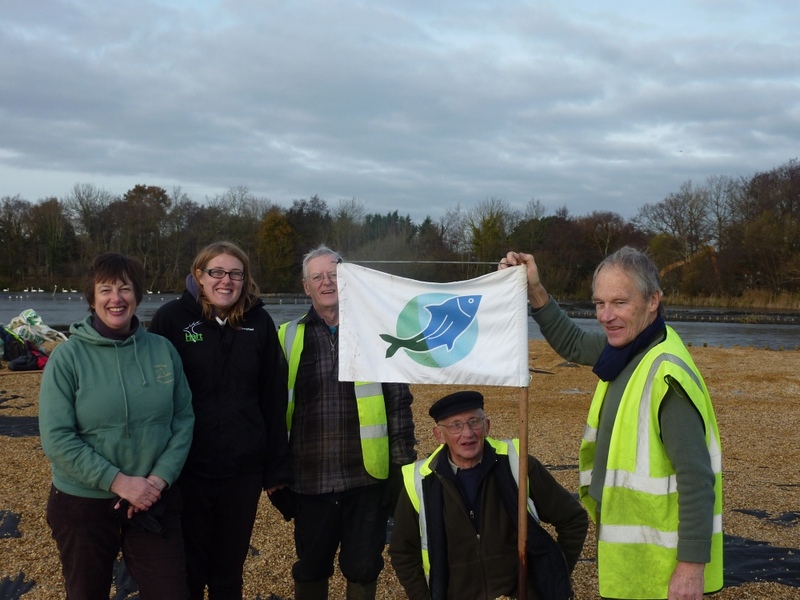 Fleet Pond Society are now able to spend some of the money raised by our Clearwater Campaign to implement plans within the Restoration Programme that fall outside of grant funding. One of the first projects we hope to get off the ground (literally!) is a pond dipping platform for children. The platform will cost around £5000 and will be positioned over the small body of water called The Flash that runs under the bridge by the station. It should be in place by the end of February 2013, ready for visiting school, scout and guide groups. You may have noticed that one of the new islands has just been covered with gravel. This is to create an environment that will encourage terns and Little ringed plovers. We hope to gravel-top another island by next spring, before the new breeding season starts. The cost of the geotextile sheeting and gravel required is about £4500. The pond is in a poor state when it comes to aquatic flora and fauna. We plan to spend about £6500 on creating an aquatic nursery, by using a geotextile curtain to separate an area of water. Larger fish will be removed from this area and placed in the main pond. The separated area will form a reservoir of aquatic plants and animals that will help to repopulate the main pond once the quality of its water has improved. Finally, on an extremely cold and wet day in February 2010, a small group of volunteers braved the soggy reedbeds to gather sacks full of reed seed heads. These have been stored and nursed to a mature state by British Flora, and our reed plugs should be ready to plant around some of the new islands in the spring. We’ve placed an order for 8000 of our Phragmites reed plugs which will cost £3500. Our patron, Chris Packham, has kindly agreed to plant the first reed. The Fleet Pond Society would like to thank everyone who has contributed to the Clearwater Campaign and we hope you will enjoy seeing the new life these projects will bring to the pond. This is a reminder that Peter Hutchins will be leading two bird walks this coming Sunday (16 December) at Fleet Pond Nature Reserve. Both are free to attend and newcomers are very welcome. Afternoon walk, starting at 2:00 pm with members of Hampshire Ornithological Society (HOS). Please see a previous post for full details. Hart District Council have recently prepared, with the help of an independent researcher, a ‘Fleet Pond Customer Needs Report’. The Steering Group for this report includes the Environment Agency, Fleet Pond Society (FPS), Hart District Council, and Natural England. To invite comment on these ideas, and submission of others. Some of the ideas for improvements to the amenities suggested by the consultants for Fleet Pond are radical departures from the current situation, which FPS feels are inappropriate for a nature reserve. Consequently FPS encourages all interested readers to read through this document and to respond to Hart with their own views. Any decisions made may have a lasting consequence so now is the time to raise any issues you may have. Hard copies of the report will be available to the public in Fleet Library and the Fleet Civic Offices from 7th December. It is also available for download here. The consultation will take place from 7th December 2012 to 20th January 2013. Hart District Council will analyse all responses to this report and, taking these views into account, then create a visitor strategy for Fleet Pond Nature Reserve covering the next few years. Hart would be grateful if you could highlight the paragraph or page that you are referring to in order for them to see your comments in context. If you would like to discuss any of the matters raised with FPS directly, prior to responding, please contact the FPS Chairman, Colin Gray, who would be delighted to hear your views and comments. Contact details: phone 01252 616183 or email Colin Gray. You are currently browsing the Fleet Pond Blog blog archives for December, 2012.